The Korean Film Festival 2015 is organized by The Embassy of the Republic of Korea in Malaysia and offers a unique chance for Korean film-lovers to experience the vibrancy of the Korean film industry. 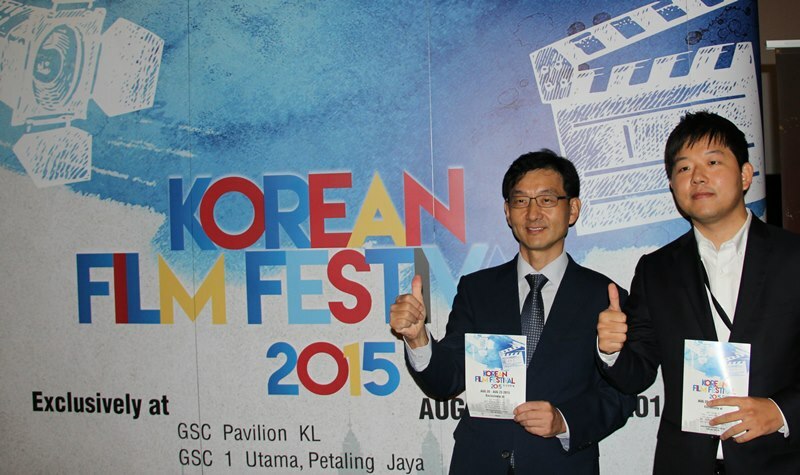 Besides showcasing and promoting Korean cinema experience, the Embassy of the Republic of Korea aims to introduce Korean culture and tradition to the Malaysian community. The Korean Film Festival presents films across a diverse selection of Korean film genres, which include recent classics as well as award winning films. Drama, action-thriller, heart-warming romance movies and animation are in the line-up to attract a wide-range of audience and showcase the diversity of Korean movies. The much-loved Korean cinema experience will certainly please the Korean movie fans while offering cinematic insight into contemporary Korean culture. The festival brings together tendiverse titles which includes: multi-award winning thriller “The Thieves”, “Confession of Murder”, romance drama, “All About My Wife”, “Marriage Blue”, history movie “The Front Line”, family drama, “My Paparotti”, “Duresori: The Voice of the East”, comedy “Man on the Edge” and animation films, “The King of Pigs” and “Green Days: Dinosaur and I”. All of the film screenings will be free based on complimentary passes which can be redeemed via the Korean Film Festival and GSC website, The Star, Harian Metro. You can then proceed to these selected locations: GSC Pavilion KL, GSC 1 Utama, GSC Gurney Plaza Penang, GSC CityONE MegaMall Kuching and GSC Suria Sabah Kota Kinabalu to redeem their tickets while stocks last. Redemption of tickets are from 20 to 23 August.